After back-to-back wins at Las Vegas and Phoenix, the defending NASCAR Sprint Cup champion has 7 consecutive Top 2 finishes since his runner-up showing at Texas on Nov. 2, 2014, including 4 wins. His streak is the longest since “The King” himself, Richard Petty, pulled off 11 consecutive Top 2 in 1975. History helps paint the picture of Harvick’s dominance, but his loop statistics do an even better job of showing just how good Harvick has been throughout his extraordinary run. Car 4 Stewart-Haas Racing driver will look to further his streak in Sunday’s Auto Club 400 at Auto Club Speedway in Fontana, California (3:30 p.m. ET on FOX). He owns 1 victory and a 2nd place finish in 21 starts at his hometown track. Johnson’s last Los Angeles area victory came in spring of 2010, but the Car 48 Chevrolet driver also claims 12 Top fives (60%) and 14 top 10s (70%) in 20 starts at Auto Club. Ten drivers return to their home state of California for Sunday’s Auto Club 400 at Auto Club Speedway in Fontana, California: Jimmie Johnson (El Cajon), Jeff Gordon (Vallejo), AJ Allmendinger (Los Gatos), Kyle Larson (Elk Grove), Casey Mears (Bakersfield), David Gilliland (Riverside), Cole Whitt (Alpine), Kevin Harvick (Bakersfield), Josh Wise (Riverside) and Matt DiBenedetto (Grass Valley). Jimmie Johnson has been the most “notorious” at the Southern California track with a course-record five checkered flags. A new victor is guaranteed as Kyle Busch – winner of the last two Auto Club races remains out due to injury. Toyota drivers get to showcase their talents on their manufacturers’ United States turf when the NASCAR Sprint Cup Series travels to Auto Club Speedway in Fontana, California for the Auto Club 400. Toyota has won the last two races at the two-mile track behind the efforts of Kyle Busch. Wheelmen Matt Kenseth, Carl Edwards, Denny Hamlin, Clint Bowyer, David Ragan and Brian Vickers are all poised to take their Toyotas to Victory Lane. Toyota Racing Development (TRD), USA is located in Costa Mesa – about an hour away from the race track. Born in Vallejo, California, Jeff Gordon may be racing in the southern part of his home state for the last time in this weekend’s Auto Club 400 at Auto Club Speedway in Fontana, California. Gordon claims three victories at Auto Club – including its inaugural race in 1997 – but hasn’t won there since 2004. He will try to build on his 1 Top 10 finish of the season at Phoenix last week, as well as add to his NSCS-leading two Coors Light Pole Awards. Showing no signs of slowing down from his hot start to the season, Martin Truex Jr. rallied to a seventh-place result at Phoenix, posting his fourth consecutive top-10 finish to open 2015. Truex’s string of top 10s is his longest since 2012 when he recorded separate streaks of five (career high) and four. That season, the New Jersey native tallied a personal-best 19 top 10s and made his second career Chase for the NASCAR Sprint Cup appearance. Coincidentally, Auto Club Speedway was part of Truex’s 5 race Top 10 streak. He will be visiting the two-mile oval this weekend as the NASCAR Sprint Cup Series visits Fontana, California for the Auto Club 400. Truex enters the fifth race on the season slate third in the NASCAR Sprint Cup Series standings, trailing second-place Joey Logano by five points and leader Kevin Harvick by 27 points. The Car 78 Furniture Row Racing Chevrolet driver ranks tied for second in average finish (5.8) and fifth in driver rating (103.8), yet still costs less than $20 on NASCAR.com’s Fantasy Live. HINT: Pick him up while you can. Ryan Newman has started the 2015 NASCAR Sprint Cup Series season the same way he finished the last one – on a nice little run. Newman closed the 2014 season with 3 Top 5 in the last 5 races, including a runner-up finish at Homestead-Miami Speedway to capture second place in the final NSCS standings. He has carried that momentum into his 14th full-time NSCS campaign with third-place finishes in his last two races and three top 10s just four races into 2015. When Bill France Sr. founded NASCAR, he envisioned a stock car series that stretched from coast-to-coast. He worked immediately to make it happen. In 1951, the NASCAR Grand National Division (today’s Sprint Cup Series) visited Carrell Speedway in Gardena, California three times. The first race, held on April 8, was the first NASCAR venture west of the Mississippi. Marshall Teague took the checkered flag in his Fabulous Hudson Hornet, the same car he had driven to victory on the famed Daytona beach-road course two months earlier. From 1958-88, Riverside International Raceway was a West Coast highlight of the NASCAR schedule. The race was often the first of the calendar year and from 1970-81 was the NASCAR premier series season opener. The list of Riverside race winners reads like a ‘Who’s Who’ of motorsports, with NASCAR Hall of Famers Bobby Allison (6), Richard Petty (4), Darrell Waltrip (4), David Pearson (3), Cale Yarborough (3), Rusty Wallace (2) and Bill Elliott (1) winning 24 of the 48 races held at the 2.62-mile road course. 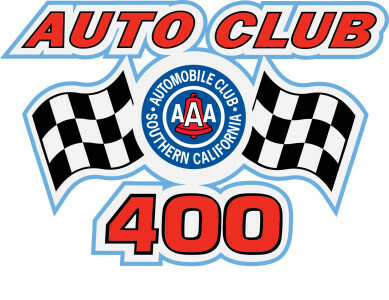 In 1971, NASCAR scheduled its first 500-mile oval race in Southern California at the new Ontario Motor Speedway. The 2.5-mile track was built as the “Indianapolis of the West,” complete with a rectangular shape and low banking. Its inaugural race, the 1,000th in premier series history, was won by racing legend A.J. Foyt, who had won three Indianapolis 500s at that point. Last season, Kyle Larson put on a performance of mastery in the closing laps of the NASCAR XFINITY Series race at Auto Club Speedway. The young driver made daring passes in the final laps and fended off the pursuits of veterans Kevin Harvick and Kyle Busch to claim his first ever series victory and in turn thrust himself into the NASCAR limelight. Now running full-time in the NASCAR Sprint Cup Series, Larson has been deemed by his fellow competitors as the ‘next big thing’ and his winning of the 2014 NSCS Sunoco Rookie of the Year honors confirms their assumptions. Despite his ever growing schedule Larson still makes time for Saturday races and this weekend he will strap into HScott Motorsports with Chip Ganassi’s No. 42 Chevrolet. Don’t be surprised if Larson contends for the win again this season, in two starts at Auto Club his average finish is 3.5. He also leads the series among active drivers in pre-race Driver Rating at ACS with a 113.7. Following his fourth consecutive top-10 finish to open the season, Ty Dillon now commands a 14-point lead over second-place Chris Buescher, the biggest points margin following the first four races since 2013 when Sam Hornish Jr. led Justin Allgaier by 22 points. Dillon’s steady hand has him leading the pack and his Loop Data backs it up. 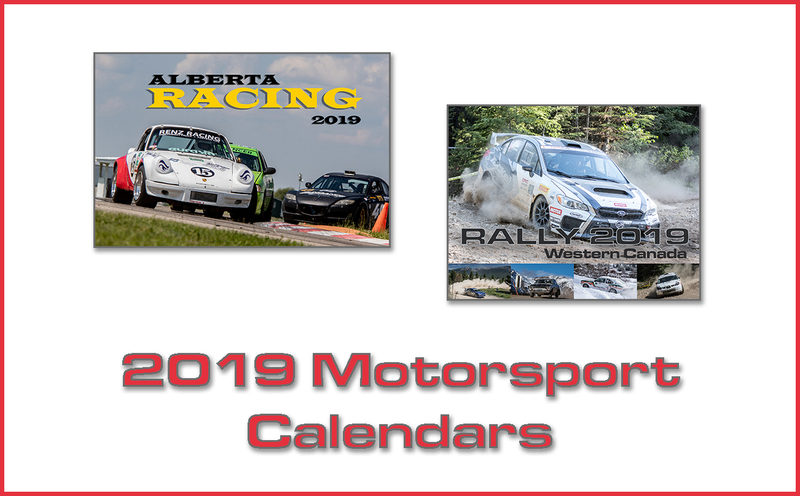 In the first four races he has an Average Running Position of 7.608, has run 97.5% of his laps completed in the top 15 and 97.8% of his laps run on the lead lap – all three are best among series championship contenders. Dillon season-to-date Driver Rating is 102.9 – second only to his brother Austin Dillon (122.2). On the final leg of the West coast swing, Ty Dillon will lead the series to Auto Club Speedway for the Drive4Clots.com 300 on Saturday, March 21 (FOX Sports 1). Dillon made his series debut at Auto Club last season where he started third and finished eighth. After kicking the season off with a 28th-place finish at Daytona and burying himself in the points (20th), Chase Elliott has been on a mission climbing back up the standings. In the subsequent three races Elliott has jumped 16 spots to now fourth in the standings, 25 points back from Ty Dillon. Elliott turned red hot last season from the second to the eighth race on the schedule when he strung together seven consecutive top-10 finishes including his two wins at Texas and Darlington. This season he is looking to do the same and his last three consecutive top 10s have him on track to do just that. Expect Elliott’s consistency to continue this weekend at Auto Club Speedway; in his series debut at the 2-mile track he posted a solid sixth-place finish. Elliott’s season-to-date Loop Data supports his recent comeback. He leads the series championship contenders in Green Flag Speed, and has fourth-best Driver Rating (98.9) among championship contenders. 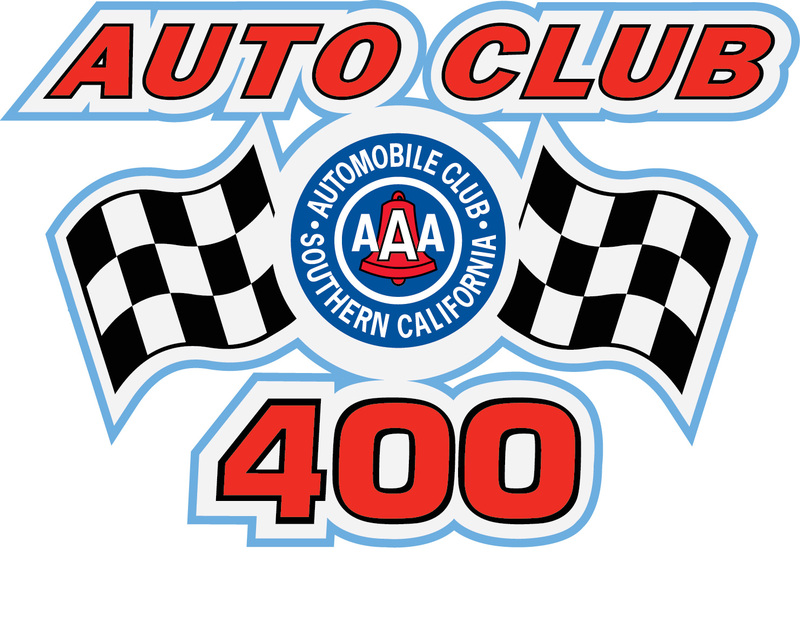 The level of competition will be fierce this weekend at Auto Club Speedway especially with popular NASCAR Sprint Cup stars like Kevin Harvick, Brad Keselowski, Denny Hamlin, Austin Dillon, Kyle Larson and Sam Hornish Jr. touting the entry list. When it comes to big names in NASCAR, nobody has flashed across headlines more this season than 2014 NASCAR Sprint Cup Series champion Kevin Harvick. Harvick will pilot the No. 88 JR Motorsports Chevrolet this weekend at Auto Club Speedway. Harvick has made 18 starts at ACS posting 15 top 10s and an average finish of 6.9. Harvick has yet to win at the 2-mile speedway. Team Penske has tapped Brad Keselowski to command the owner points leading No. 22 Ford this weekend. Keselowski’s teammate Joey Logano won last weekend at Phoenix catapulting car owner Roger Penske to the owner standings lead by six points over Richard Childress’ No. 33 team. Keselowski has made 12 starts at Auto Club Speedway posting four top fives and five top 10s. It will be Austin Dillon’s job to reclaim the owner points lead for his grandfather in the No. 33 RCR Chevrolet – which could be a possibility. Dillon has made two starts at Auto Club Speedway and both times he finished fifth. Dillon has been impressive in his stint in the No. 33 this season; he leads the series in season-to-date Driver Rating (122.2), Average Running Position (5.466) and Percentage of Laps Run on the Lead Lap (99.4%). Denny Hamlin will be substituting for the injured Kyle Busch in the No. 54 Joe Gibbs Racing Toyota. Joe Gibbs Racing has won nine of the last 10 races at ACS: Kyle Busch (six), Joey Logano (two) and Tony Stewart (one). I Wish They All Could Be California … Drivers? Timothy Peters and Gray Gaulding return to where it all started – Virginia. The Old Dominion State natives are scheduled to run the Kroger 250 at Martinsville Speedway (Saturday, March 28 at 2:30 p.m. ET on FOX Sports 1) where they hope to earn their first victories of the season. Hailing from Danville, Virginia, Peters has a long history at the “paperclip” where he made his first career NASCAR Camping World Truck Series start (4/09/05) and later captured his first checkered flag (10/24/09). Peters finished second at the fall Martinsville race last season. NASCAR Next alum Gaulding began his career further up the road in Colonial Heights, Virginia, but the 17-year-old driver returns to Martinsville where he can claim more experience competing in the Truck Series. Limited to tracks of 1.25 miles or less, Gaulding logged top-20 finishes in his two career starts at Martinsville. Matt Crafton has wasted no time defending his NASCAR Camping World Truck Series championship, and could be on his way to a third consecutive title. Last year’s spring Martinsville race winner returns to the track on the heels of his first 2015 win at Atlanta Motor Speedway. Currently second in the standings, Crafton will attempt to close the two-point gap separating him from leader Tyler Reddick. Not to be outdone, Crafton’s ThorSport teammate Johnny Sauter has also had success at Martinsville. The No. 98 Toyota Tundra driver claims two victories at Martinsville and looks to tie Kevin Harvick, Mike Skinner and Dennis Setzer for the most all-time wins at the short track (three). ThorSport has sent a driver to Victory Lane in the last two spring Martinsville races (2013, Sauter; 2014 Crafton). Maybe it’s Sunoco Rookie of the Year candidate Cameron Haley’s time to continue the ThorSport tradition with his first NASCAR national series victory.